Okay, I feel better today than yesterday. So thank you. Anyway. 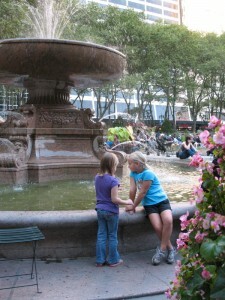 . .
I’m finally getting around to telling you about our visit to the New York Public Library. Way back before Disney, we went down to New York City from a family wedding. When we arrived, we had an hour or two to kill before we met up with everyone, and I practically begged my family to let us please-please-please go to the downtown public library for a quick visit. Mostly, it was nostalgia. Yes, I’m a total geek, and the library was a home away from home back when I was in grad school. But it’s also a beautiful building. If you’re walking along Fifth Avenue and you see the big ol’ lions and you point them out and keep walking. . . DON’T DO THAT! Because, really, it’s gorgeous inside. Go take a look. Then we headed downstairs and out toward Bryant Park, and we stumbled onto a room that wasn’t there back when I was in grad school: a Kids’ Room! Yay! 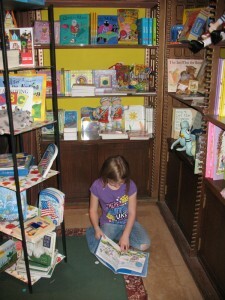 With kid-sized furniture and some lovely artwork, and Something. Even. Better. Okay, if you look in that picture above, over to the left, there’s like this weird little room-within-the-room? Here’s what’s inside! 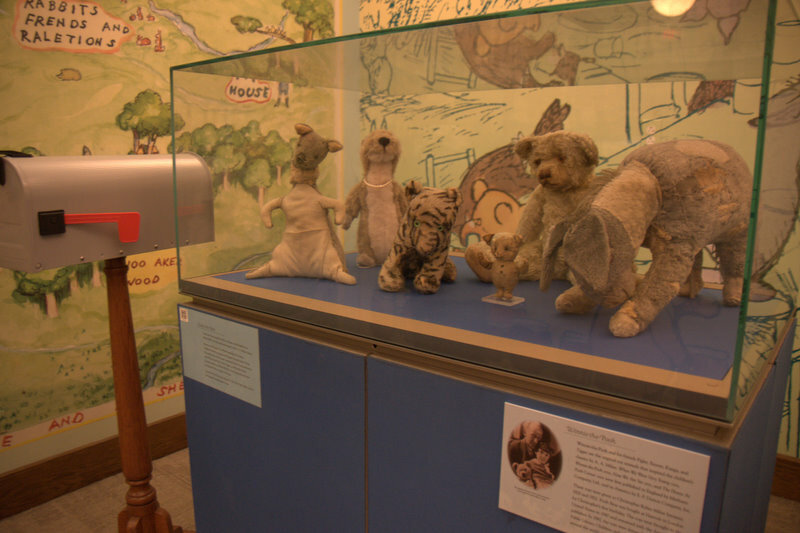 The original stuffed animals that inspired A. A. Milne’s stories for Christopher Robin! I know, right? So we had a new bonus feature I hadn’t even anticipated, all conveniently located next to a bathroom! Woo, hoo! 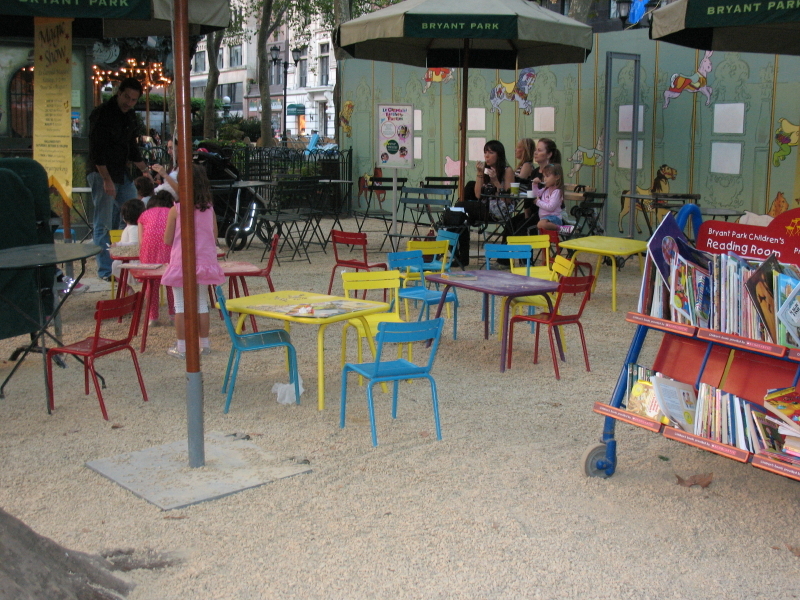 After that, we headed out to Bryant Park, where I was delighted yet again with a small al fresco outpost of the kids’ library, with plenty of books (ignored) and piles and piles of dusty pebbles (quite popular with kids, but I didn’t want to focus photos with random children–that would be creepy). I’d always liked Bryant Park, but this is so awesome and cute. Of course, my girls are suckers for a fountain: mysterious but true. It was a lovely little visit. 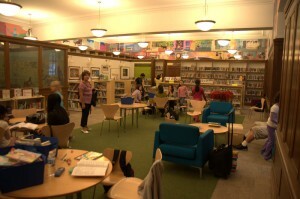 Sigh: I love that library.